Game of the week is looking like Steelers-Falcons and I’m having both QBs as my tips. The Falcons defense has lost more starters than anyone and they can’t seem to stop any offense driving down the field and scoring almost every time. 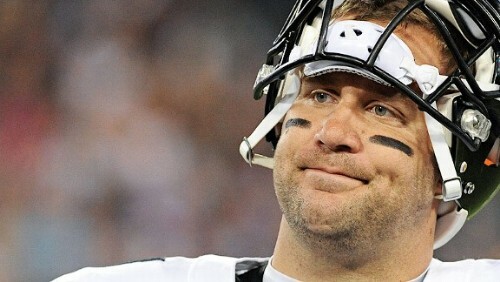 Ben Roethlisberger should have a field day against this injury plagued unit. 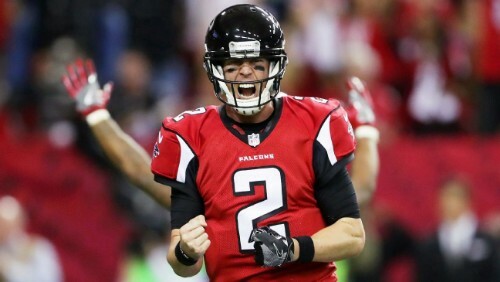 Taking the other side of the field, Matt Ryan has been playing very well and he’ll need to continue to have huge numbers as his team will likely be in a lot more shootouts this year. The offense is finally clicking and with DeVonta Freeman expected to get back out there this week it could be even uglier for the not-so-stout Steelers defense. 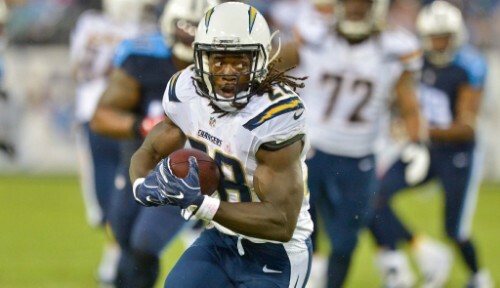 Melvin Gordon is becoming a problem for defensive coordinators around the league. They already must deal with shutting down Mike Williams and Keenan Allen on the outside, then you have the monster in the middle killing you 5 yards at a time. The Raiders give up a lot of fantasy points to running backs and Gordon should be able to break off a few long runs against this defense that needs to set the edge better. 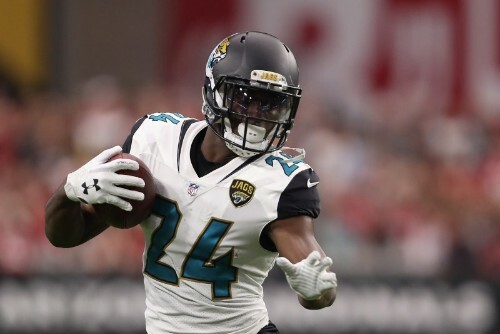 Leonard Fournette is officially out and a beneficiary of that is T.J. Yeldon who has been filling in nicely for his fallen comrade. 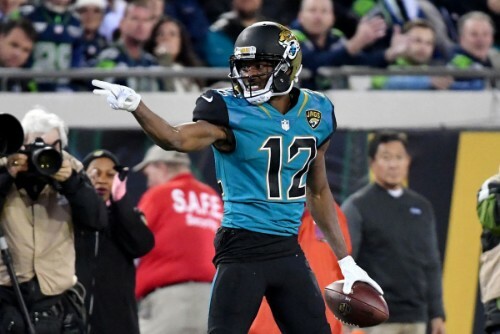 The Jags face Kansas City this week and they are sometimes hilariously bad against the run. Yeldon might not see a huge workload as Bortles should be able to throw easily against the weak secondary of the Chiefs. Any touches Yeldon does get could easily be broken off for a long score. 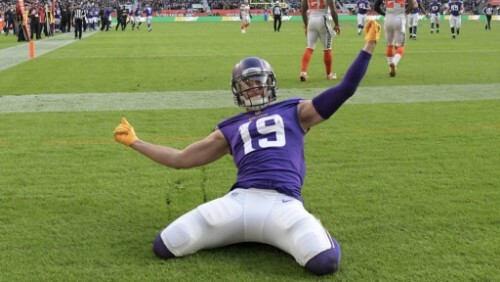 Adam Thielen, still one of the most underpaid receivers in the NFL. If the Vikings offensive line could round into form and give Cousins half a second without pressure in his face, then Minnesota’s season could look a lot better. This week they play Philly and for some unknown reason, Doug Pedersen enjoys leaving Jalen Mills out on an island as if he’s Darrelle Revis. If Cousins has time to throw then Thielen will have a monster day. 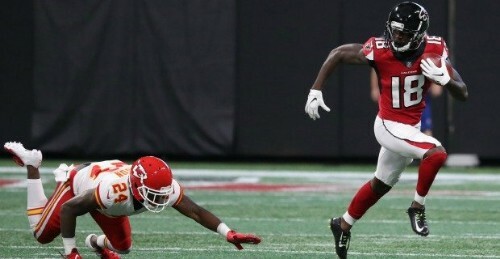 Calvin Ridley is finally seeing his price rise after two huge weeks. He is still a good pick here as he faces the Steelers. He’s quickly becoming Matt Ryan’s favourite target as Julio draws coverage his way. As the Atlanta offense seems to get more power every week, it could be possible that Ridley has an even bigger game soon. The future is bright for this young receiver. Against a slow and weak Chiefs secondary the elusive Dede Westbrook should be able to make a lot of plays. Bortles has looked good this season so far after receiving that contract extension in the offseason and he’s making good decisions. 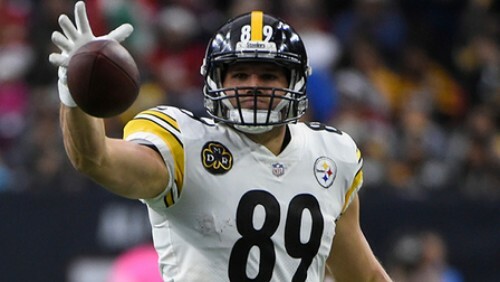 Their receiving corps leaves a lot to be desired, but Westbrook should be able to capitalise on this Kansas City D.
Vance McDonald has turned out to be a real weapon for Roethlisberger this season. He’s becoming a good security blanket if no one else is open and he’s getting a lot of targets. Against the Falcons this week it shouldn’t change as the Steelers run game seems to have stalled and this Atlanta defense is one that McDonald can punish all over the field. 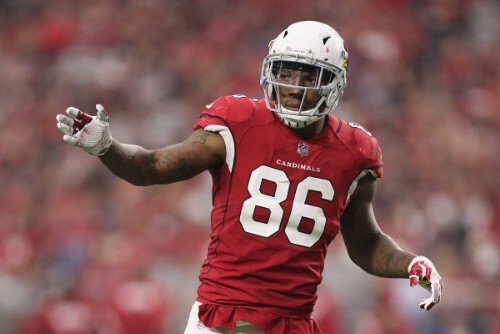 Ricky Seals-Jones is a gamble but against the 49ers he could be a good play as they can’t cover tight ends no matter who it is. If Rosen can have another good game, then Seals-Jones can be his big target to get the Cardinals their first win. The Seattle O-line is still giving up sacks and the rushing attack is there but still irrelevant when there isn’t a complimentary passing attack. 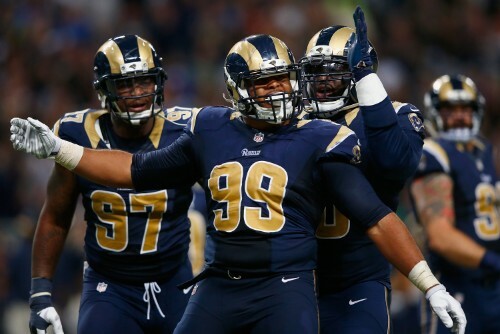 The LA Rams should be able to clamp down on the Seahawks receivers and let Donald and Suh turn their offensive line into mush. This could be a brutal week for Seattle. Baker Mayfield is looking like he could be a star in Cleveland but this week he faces the Baltimore Ravens. This defense is loaded with talent and defensive coordinator Don Martindale is going to throw a lot of exotic blitzes and coverages at the young QB. If Mayfield gets flustered the Ravens could shut them out.